So I was at an event this morning in which a group of us were out looking for a lost retired greyhound. Afterwards I got talking to a lady and her son who were there helping the search and they were ultra keen to adopt a greyhound, great I thought! Then I was dismayed to here about how they went to the GAP kennels here in Amberley (the only Sth Island kennel) and were told they had 1 greyhound there, and that was out being fostered, so in effect there were ZERO available dogs ready to get adopted and for people to look at. So I looked on the GAP website and sure enough there are no dogs on the available for adoption list in Canterbury, there are plenty waiting to go in, but none ready to go. Something is seriously wrong, who is to blame? B] the actual GAP kennel itself, why are they not taking in enough dogs for people to adopt? There are plenty waiting! In what are very trying times for the industry I was really fu#ked off when I heard this, and it's no wonder the industry is in the peril it's in. If this is the state of our supposed number 1 rehoming agency then the greyhound industry deserve to be shut down, it is just not good enough. Im not sure what the state of things are like in the North Island GAP kennels, I havent heard great things to be honest, but I was just dismayed about the situation of the Sth Island base, I'm not that involved in the industry myself nowadays and I'm quite thankful if this is what has become of it. Our association needs to look at themselves in the mirror and actually walk the walk when it comes to the rehoming of our retired racers, and not continue to just pay lip service. Hampton Downs and Amberley are both contracted kennels which isn't a bad thing. They are paid per dog, as opposed to Levin which is a paid staff kennel. Hampton Downs (6) re-homes similar numbers to the Levin kennels who have a capacity of 18. Contracted kennels are also private boarding kennels. From memory, Hampton Downs has 6 designated GAP kennels, and Amberley I think has 4. I agree the present situation is not ideal. Looking at the numbers I don't believe Levin is value for money. I believe several contract kennels across the country would be a much better option. These smaller more intimate kennels should be situated close to large population bases. Amberley is the only kennel in the south island, given the number of dogs they have on the waiting list, this is unacceptable. Ideally, there should be at least one contract kennel in each of the most populated regions, i.e. Christchurch, Dunedin, Invercargill, and Nelson. At 6 kennels per contractor, that would give 24 dogs sitting on the list an immediate place. A new re-homer now exists in Auckland but is not industry funded. They need to be funded. Nightrave in Fielding is funded. Replacing Levin with contracted kennels in Wellington, New Plymouth, Tauranga, Napier, Hamilton, and two in Auckland would increase north island capacity to a minimum of 60. Combine north and south and you are looking at in excess of 80 dogs accommodated. A suitably qualified manager in each island would oversee the running and testing of all adoptees. I believe smaller more intimate kennels would be of benefit to the dogs in care. I am told GAP underwent a full review toward the end of 2017, however, the results of that review were not shared. Selling Levin and investing in smaller contracted kennels makes great financial sense but as we all know, common sense is not the norm in this industry. $800,000 from the Levin sale would go along way toward setting up a better system. Like it or not GAP is the face for the re-homing of greyhounds. For those not involved in the industry many are unaware of other smaller, private re-homers. I gave this family in particular the details for Hounds 4 Homes who are smaller, non-funded rehomers, this family they had never heard of any other re-homers other than GAP. Im aware that the Amberley kennel is also a boarding kennel, but for there to be ZERO dogs at the kennel available for adoption is just abysmal, I'm not sure when they were intending to get more dogs in, maybe there is just not much incentive to take the greyhounds in a decent amount of time. Maybe other options are needed to be looked at in regards to the Sth Island dogs, I know one trainer who has 15 dogs on the GAP list waiting to go in, many other people just cannot afford to hold onto so many dogs for so long so what is the alternative? With all the issues going on in regards to welfare and re-homing of dogs, this should be one of the top priorities, I hope no one out there is out looking for a greyhound to adopt in the Sth Island any time soon ( and people are! )as I don't know how long it will be until the next one is available, well at least at GAP kennels anyway. I have never stated that they don't, all the GAP volunteers and foster carers I know do an amazingly job, can't fault them. I am purely stating there is something wrong when there isn't an available greyhound in the entire Sth Island ready for adoption when we know there are plenty out there waiting for a couch to retire to. 3 lovely new boys arrived at Amberley today. I see on todays GAP page there is 9 dogs in need of home but all of them in Levin. I seem to recall the broading Kennels that our GAP dogs are at dont take any of our hounds over the xmas and New Year as their busy times . Some think need to be address over this as waiting list is just getting longer and longer. I was told by Judy at the Amberley kennels last month they were not taking any in over xmas cos the vets weren't available. I went to that Vet clinic just after Christmas looked all business to me. Am wondering whether they want the kennels for the probably higher paying pampered pooches over Christmas which i guess you xant really blame them. Good time of year for getting dogs into homes when people have more time on their hands. I thought the previous kennels which Deseree looked after (sorry about the spelling) was really friendly and welcoming. Perhaps they.could have her doing them as well... why not? Why only.one? See who.performs the better...just a thought. There needs to be more advertising on TV about how great a pet they can be.still even today a fair chunk of the population think they wear a muzzle cos they're vicious...crazy. I think you are telling porkies please show proof...or apologize cheers. FYI. 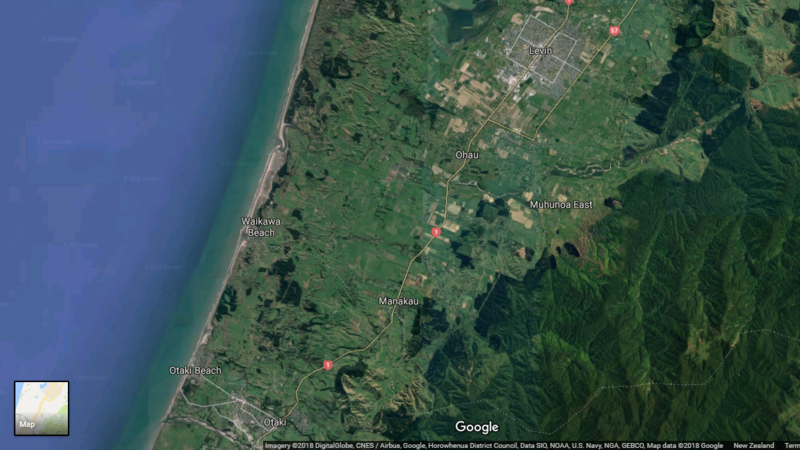 Looking at the proposed route options for the new Levin - Otaki section of the 4 lane expressway, there is a possibility the build will affect the GAP kennels on the Manakau straight. The new preferred option will most probably see the road built through Muhunoa East which is on the same side of the existing highway as the kennels. When the expressway was originally discussed (prior to purchase) the road was to be built on the west side of the existing highway, that appears to no longer be a viable option. Given the number of historical, ecological, and protected sites to the west, along with known flooding and topography, the eastern route makes greater sense. Great to see a new possible adoptee for the Canterbury region on the GAP website but I do have a concern. These dogs were only dropped off to the kennel on the 21st January, and a week later one of these dogs was already up for adoption. It seems a VERY short time frame for a dog to be accurately asesssed and deemed 'home ready', don't get me wrong, I'm sure the people who have done it have done a great job, but I'd hate to think they are being rushed through. Gap have a new announcement on nzgra site. Common grnz...stop being dictated to...these new rules will end up having more dogs euthanized...some of us spend dollars to save a dog after injury and now they arnt suitable for gap.......i thought you are suppose to be saving dogs ??? See this article on stuff website this morning, pretty sad when an article with this kind of rhetoric is in the 'racing' section. Well I just received an email re South Island GAP kennel base manager have resign for the second time. The South Island will not have a GAP base once again as from end of this month. Not good enough at all. GAP has let us down on so many things. Where to next. That is extremely worrying and very sad for the southern trainers. Yes have just received a phone call from Julie to tell me about my girl that went to her new home in the weekend. Julie said that she had resigned because of somebody bagging them. Sorry that her and Richard have resigned,I found them to be great with the dogs.